Until we are ready to start posting pics of our new releases (coming soon), I thought you might see that I actually do have another life besides Vanilla House. Not much of one, but I do! We built a new house recently and I decided to make the hearth pad for a new wood stove in the guest room. So this pic is a mosaic of small stones. I learned a lot but I think it turned out pretty nice. 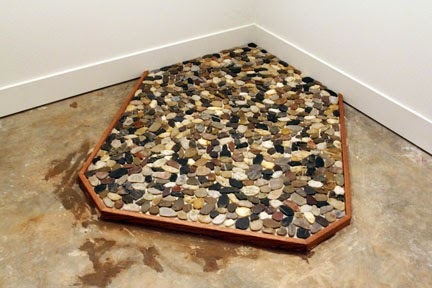 I used the small stones so I wouldn't have to cut anything with the tile cutter! LOL! Took about a day! My knees really hurt by the time I was done! Another new project slated for this spring is fabric basket liners! These are the four fabrics I have chosen for the cover. I wanted four fabrics that 'kind of' go together or blend but each still having their own personality. 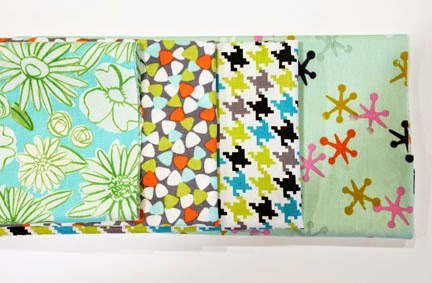 My favorite is the Playful Jacks fabric by Cotton & Steel. More fabrics for more spring projects! Try out these fabrics for some new oven mitts I am designing! 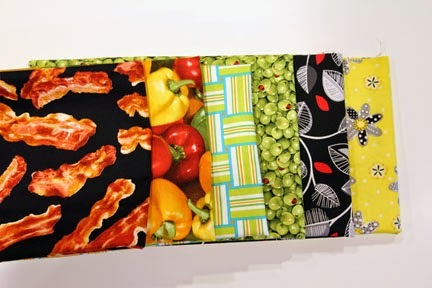 I loovve food fabrics -- again, from Fabric Depot. But I can't decide what I like the best -- the bacon fabric or the olive fabric.